President Tsai Ing-wen met with business representatives today in a bid to develop consensus over the ruling party's proposed five-day work week measure. The Tsai administration, which has had trouble pleasing either labor or business groups with its proposed version of the law, pledged more communication with the parties involved, but has yet to announce a change in course. President Tsai met with National Federation of Industries directors hoping to address an ongoing stalemate between businesses and labor over proposals for a five-day work week law. Tsai focused specifically on the issue in responding to six suggestions the business group made in a white paper. The idea behind revising the Labor Standards Act is to put into place a five-day work week. We want to solve this problem. The government will do everything it can to explain it to society, and the Legislature also needs to seek the broadest social consensus possible in the course of cross-party consultations during the review process. Labor groups previously staged a hunger strike in opposition to the government’s proposed revisions, saying they would not be able to solve the problem of overwork. The bill also drew fierce partisan wrangling in a legislative committee, forcing the DPP to table debate on the bill for the current session. 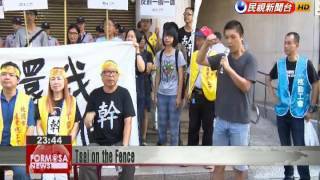 Tsai promised to be a bridge between labor and management, but labor groups weren’t buying it. The government should not just play a mediating role. It should use its executive authority to amend the law to reduce the working hours of Taiwan’s workers. Labor Ministry statistics show that one person dies of overwork every 11 days, and one person falls ill because of overwork every five days. Labor groups want those who work on both weekly days off, rather than just one in the government’s proposal, to matching days off, and they’re also demanding the reinstatement of seven national holidays per year. Tsai said that before a new system takes effect, the question of the seven holidays will be dealt with based on the Labor Standards Act.